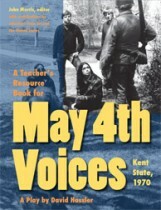 DescriptionOnly ten days after four white students had been gunned down by National Guardsmen at Kent State University in 1970, law enforcement officials fired upon and killed two young blacks and wounded twelve others in front of a women’s dormitory at Jackson State College in Mississippi. The first incident attracted media and public attention worldwide, overshadowing the later tragedy. Tim Spofford has not allowed the killings at Jackson State to be forgotten. 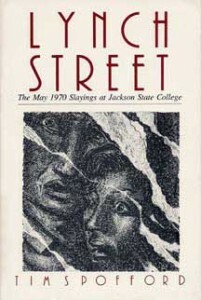 Lynch Street presents the event in the context of the history of Jackson, Mississippi, as well as in the context of the student protests of the 1960s. Lynch Street is not, as one might assume, named after lynchings, rather it is identified with John Ray Lynch, an emancipated slave and Mississippi’s first black congressman. Lynch Street is the site of the black Jackson State College, where two black men were killed during antiwar and civil-rights protests in May 1970, 10 days after the Kent State University incident where four white students were slain by National Guardsmen. 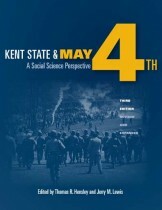 According to Spofford, a writer for the Albany Times Union, the Jackson State killings have been largely forgotten in contrast to the Kent State deaths. In his account, Spofford relies mainly on interviews with the wounded students and the families of the dead. He traces the mounting tensions on Lynch Street between blacks and whites and maintains that Jackson State students were not known for their political activism; yet a mini-riot, fueled by an atmosphere of racism, escalated, and the police panicked, called for extra help and began shooting. Spofford successfully recalls the moment with primary sources. … Illustrated.